In this transformation era, most of companies want to lead with better financial results and with more customer engagement, satisfaction and experiences. Every organization wants to have success before their peers. The transformation is already taking place, mainly starting with Human Resources within the Organizations and Digital HR plays a vital role whether in standardizing and streamlining processes or in helping organizations to transform their HR practices and employee experiences. SuccessConnect 2016 Vienna has definitely provided the opportunity where one can spend time with people who are successfully navigating through these changes. Learn why they began and how they are proceeding through the journey, including value and results they are achieving. For those who are not aware of SAP SuccessConnect events, the premier event for human resources (HR) professionals. World’s leading HR executives, business professionals, industry experts, and thought leaders gather who are shaping the way companies are transforming businesses in the digital economy. Definitely recommended if you want to know how, why and where you need to start the journey to Digital Transformation. Here are some of the recents and upcoming ones. Let’s now share our experiences recently from Vienna, the latest SuccessConnect event. What is important at this time is to know over the experiences, knowledge and challenges in the transformation with Digital HR from the organizations who are already leading their journey. There are lot of feedback and knowledge sharing from these leading organizations at SuccessConnect. Keynote address with SAP SuccessFactors President Mike Ettling, “Simply Human Show” has provided such experiences of the journey from UCB, Swiss Re and Erste Group Bank. Franck Cohen, President, SAP Europe, Middle East and Africa, and Mike Ettling, President, SAP SuccessFactors discussed over leadership and diversity. Highly motivated thoughts and styles from two leaders from SAP. There are other interesting Keynotes, one with Niki Lauda is one of the best Formula 1 drivers and one of the most fascinating personalities in sports and other with Stefan Ries, member of the Executive Board of SAP SE and CHRO and off course Women in Leadership Luncheon, a really good initiative from SAP for sure. The one with Thomas Otter and Dave Ragones, both group vice presidents of Product Management at SAP SuccessFactors, is definitely under the surveillance from SAP Partners, Vendors and Customers as a whole. They discussed the future directions and trends shaping the SAP SuccessFactors suite of products, over the new product innovation and newly added functionalities. Which are surely the driving points of the transformation for better customer experiences and results. There are huge numbers of breakout sessions from SAP, partners and customers, sharing their experiences and capabilities. Not easy to attend all of these but the below ones are definitely interesting especially when one is looking for a proper answer, roadmap and guidance for your transformation journey. 39184: Transforming Global HR – Is There Any Other Way to Work! We personally enjoyed the below session where SAP come over the road maps and options for Payroll in cloud and on-premise. SAP clearly indicated that choices and solutions for Global Payroll are totally depend on the customer’s perspective of their current situation. SAP is offering with 4 options currently where the preferences are clearly indicating to SAP SuccessFactors Employee Central Payroll or Managed Payroll. There are a lot of debates going on for these last two options and it is good to know that SAP makes clear indication that those customers who are happy with their current SAP HCM Payroll solution (so far the best option) are not need to move to cloud in hurry. Transition of Payroll to cloud totally reciprocal to the customer’s satisfaction with their current situation. SAP has also provided two different choices to Payroll delivery for Employee Central, currently the best choice for Core HR on cloud from SAP. So now it’s upon to the organizations who need to decide their own choices from their current situation and their own future roadmap. Further reading on this is recommended from Phil Wainewright, Diginomica. SAP’s Mike Ettling on the cloud ‘haves’ and ‘have-nots’. There are off course lot of other interesting sessions and there are a lot to discuss and share but we surely need dedicated contents for them. But it is always good to be a part of the most debatable topic, which we have share. Another interesting best recent announcement from SAP is SAP SuccessFactors Process Library, the process library for SAP SuccessFactors solutions provides a unique and specific body of knowledge created and maintained by SAP. 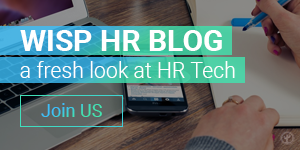 The process library supports the transformation of HR based on the leading cloud solution for HR and enables customers to drive standardization and fast adoption. SuccessConnect from SAP is a great place for valuable networking as it is dedicatedly provides the opportunity in driving Digital HR for a Digital Transformation journey. Meeting Experts, Global colleagues, Ex-Colleagues, Friends, Social Media Connections and lots of Partners/Vendors at the same place and during the same time is not at all a bad option for sure, specially when the area (Human Resources) of all innovation, thoughts and experiences are the same. Meeting experts specially SAP Mentors is very common and expected in event like SAP TechEd but SuccessConnect is neither a bad option especially if you are looking for mentors/experts on SAP HCM and SAP SuccessFactors solutions. It is a big plus for any attendee for sure. Now if we come to vendors and partners there is a big list of sponsors in SuccessConnect. It’s great to get collaborate with many of them, grabbing their experiences with other customers, partners and knowing future solutions from SAP which could be a a great step to know why, how and where to start the journey to Transformation. Very impressed with NGA HR, who are one of the leaders in Payroll Services and HR Outsourcing. Actually so far they are mainly known for the Payroll and Outsourcing services. But it’s good to know over their Digital HR services as well where they are also leading HR Technology Consulting, HR Transformation Consulting and AMS services. In this year, SAP has announced over SAP APP Center for customers, there are already more than 1200+ apps in the HANA Cloud Platform from SAP. 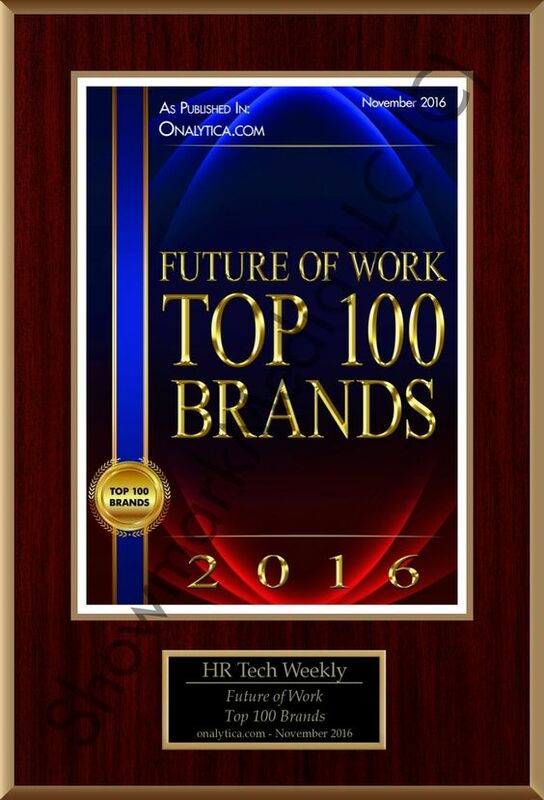 NGA HR also announced about XtendHR, the future-proofed HR apps. The apps – built on the HR HANA Cloud Platform – help organizations to deploy, roll out, configure and manage SuccessFactors Employee Central faster, safer, better and cheaper. Will be available to anyone easily in this mobile world, where people spend most of their time in APPs onlys. Similarly Accenture HCM Software is also doing a pretty good in boosting productivity on the SAP SuccessFactors Employee Central and SAP on-premise HCM platforms with their own solutions. Similar engagement is also supported by EPIUSE with their own solutions. All of these three vendors are the premium partners from SAP and there are lot of expectations from the organizations and customers from them who are leading in helping customers in their transformation journey. Apart from big names it was also interesting to know about some new and potential partners who are doing a fantastic progress with their innovative thoughts and engagement. We are really impressed with Ingentis, iProCon, TalentTeam, iXerv , WalkMe, Launch … and many more, and some of them are even founded and leaded by SAP Mentors and SAP Alumni. We are also happy to share our collaboration idea with many of the partners especially on disruption on HR and driving Digital HR for transformation. We were especially engaging with lot of potential startups who are really promising with their innovative solution on HR Technologies. We will be happy to get engage with more and more startups, partners and helping organizations and customers in their transformation journey as well. Please see our DisruptHR section on our website, you can find some of them, still many to get engage. Overall it is a very successful and impressive conference we attended recently so far. There are a lot of potential for most of the organizations as the journey has just began. We are thankful to SAP and all the sponsors/partners and hope to continue our journey in this Digital Transformation era as well.